4/6/2012 – Vladimir Kramnik needs no introduction, and aside from being in the top five players for some 20 years, he is also the only player in history to defeat Garry Kasparov in match. In his review, Albert Silver describes this games collection as less about his ascent to chess Olympus, as it is a detailed inside look into world championship match preparation. Read why it is the ultimate test of fire. 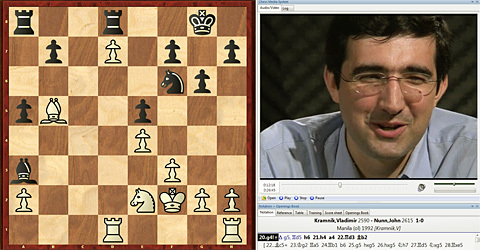 Vladimir Kramnik needs no introduction to any chess fan. Aside from being in the top five players for some 20 years, he is also the only player in history to defeat Garry Kasparov in match, and for the world title no less. As a player, his clinical positional style is well-known and well-respected, but lets face it, it is not the most exciting. Perhaps for this reason, until now I had shirked his DVD, expecting mostly long explanations on dry struggles in which he outmaneuvered his opponents. The problem isn’t that I value these things any less than others, it is merely a simple question of: what is in it for me? If this prognosis pans out, it will not be very entertaining, and furthermore, many of his explanations may not be of great practical value to me as they may be too advanced. What changed this concern (based purely on prejudice), was Kramnik’s incredible slew of results last year, where he not only reached his highest rating in nine years, but showed a new leaf to his play, one that had not appeared since before his famous title-win. He has been strongly questioned on whether he has changed something in his style, something he has consistently denied, and perhaps it is true, but there is one thing that is clear, that he can deny until his face turns blue, and that is that he has shown a new willingness to take greater risks, which is what has brought him back into the rarefied 2800 club. In fact, this is much like poker, where a player takes a riskier approach, in which the greater number of hands won outweighs the additional hands lost. 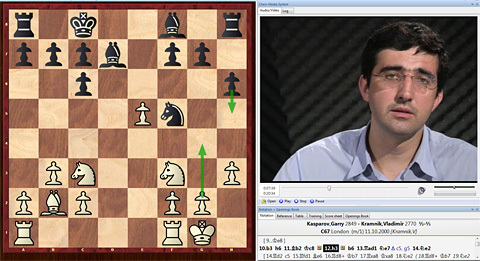 In the end, all of this theorizing on what to expect was soon thrown out the window, since Vladimir Kramnik’s games collection is much less a collection of games describing his ascent to chess Olympus, as it is an extremely detailed look into how to prepare for a match and all the intricacies that match play involves. gin and 50 cans of tonic. The first eight videos of the twenty in all, do indeed describe his early efforts, including a 30-minute opener describing his first steps, and the expected prodigious results such as playing at near 2000 strength before he was even seven years old despite the lack of instructor or enough literature. His style is also soon explained as his first book, despite having a completely inadequate understanding of the game, was a collection of Karpov’s best games, that he played through over and over, followed by Nimzowitsch’s timeless classic, “My System”. The first games shown are from his international breakthrough at the 1992 Olympiad, and it is made clear that Kasparov’s influence in bringing him into the team went far beyond simply recommending him. Kasparov took full responsibility on himself for his pupil’s results, and should they not live up to his promise, it was on the World Champion’s head. Naturally, after Vladimir’s 6.0/6 start, the tongues stopped wagging, and a new star was born. Despite his huge rating as a result, he admits to being nervous about his first elite competition, and whether or not he would really be able to compete. While he was gratified to realize he could, what stuck out the most, was not their incredible openings preparation, nor even their positional play, where he knew he lagged behind, it was their ability to defend and defend and defend, and constantly find ways to stay alive in positions where other grandmasters would have resigned long ago. He had never met such resistance, and it was a lesson in what set champions apart. This exposé is fascinating, and we are treated to many lovely games, all of which fit the title “My Path to the Top”, but the meat of the DVD is really what follows. The viewer is given a deep and unprecedented lesson in what match play is like, and what it involves. Three matches are looked at, his famous match in 2000, his title defense against Leko, one that he nearly failed in, and finally the infamous reunification match in 2006 against Topalov, with the ‘toilet gate’ episodes. You needn’t worry about a long diatribe on this, since he explains that his opinions on the subject can be found in a separate interview, and other sources. He has no interest in beating this dead horse any further. A topic that often comes up regarding the world championship is that of comparing it with the top FIDE rating, and which is of greater value. 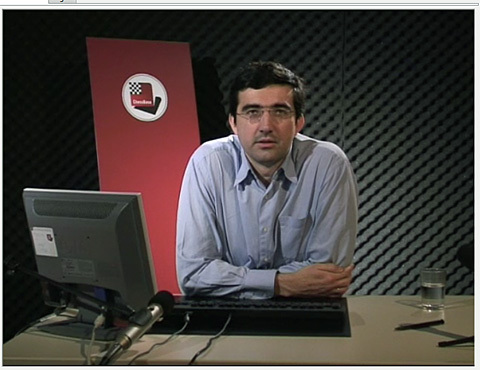 Kramnik explains that a world championship match is the single greatest test of fire a player can undergo, and while he himself had read every single book he could find by players who preceded him, in the end, nothing could really prepare him for what followed. On top of the four videos in which he covers the various aspects of his preparation, including how he devised the famous Berlin Wall strategy, his focus is very clear. 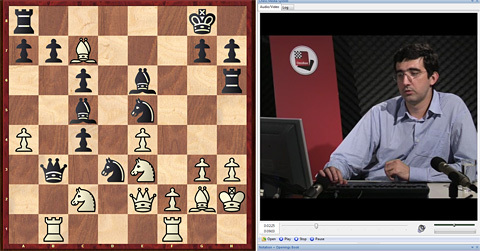 Consider the video on games three and nine of his match against Kasparov. In game three, after move 29, when the last vestiges of the opening battle have ended, he ends his analysis by saying that the game then continued on for many more moves, and says no more. We are not left wanting, since this is a part of his study of how the world champion approached the opening, and while the rest is not without interest, it is not relevant to the discussion at hand. That said, it would be incorrect to suggest there are no complete games in his match coverage, as they are there, including his last game save in his match against Leko, in which even a draw would cost him the world championship. Not only is the game broken down in all its steps, but Kramnik details how he approached it, and the mistakes he feels the Hungarian made which allowed him to retain his title. Overall, My Path to the Top is a fascinating collection that extends far beyond a best games compilation, or the documentation of a player’s rise to the top. It is a multimedia record and glimpse into what world championship match play is all about, and why stratospheric ratings may still stumble at this step. With over six hours of immaculate content, and a further 40-minute interview that can be seen separately, there is value to spare. Highly recommended. 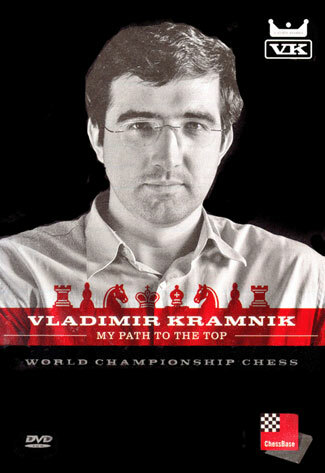 Vladimir Kramnik's My Path to the Top can be purchased at the ChessBase Shop.